Dale Carnegie wrote “How to Win Friends and Influence People” in 1936, which remains the world’s top selling self-improvement book to this day. He was born Dale Carnagey in Maryville, Missouri in 1888 to a poor farmer, but changed his name to Carnegie to take advantage of Andrew Carnegie’s reputation and status. In 1911, while living in New York City and jumping from one failed business venture to another, he attended the American Academy of Dramatic Arts (my alma mater!) but found little success as an actor. However he didn’t throw in the towel. He didn’t let his fears and doubts overcome him, and eventually his acting training proved to be a catalyst for his success – albeit not what he had had in mind originally. 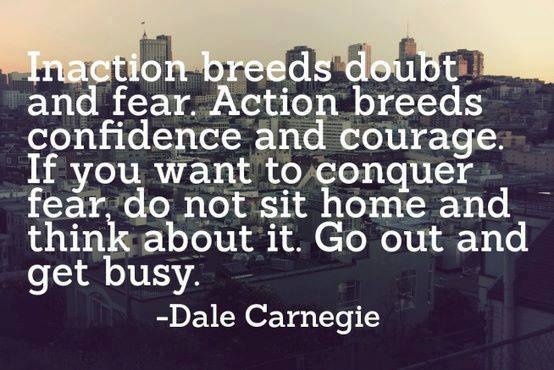 He realized the need for public speaking training, particularly in businessmen and entrepreneurs, and in 1912 the Dale Carnegie Course became the starting point for one of the world’s greatest empowerment and self-improvement gurus. Sometimes in life, when we fail at one thing, it’s simply the universe’s way of pushing us closer toward the thing we are meant to truly succeed at. The trick, however, is to keep moving and not allow fear and doubt to stop us.